Product prices and availability are accurate as of 2019-04-25 18:02:23 EDT and are subject to change. Any price and availability information displayed on http://www.amazon.com/ at the time of purchase will apply to the purchase of this product. 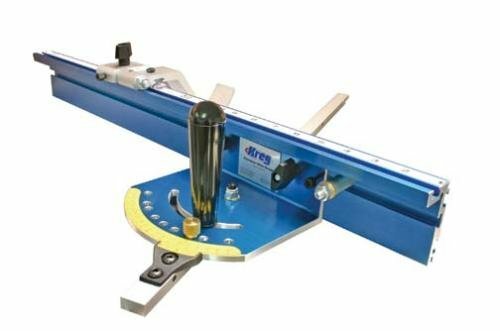 We’ve found that even on high-end saws, the miter gauge is sometimes not the best it could be – a situation easily resolved by the folks at Kreg. 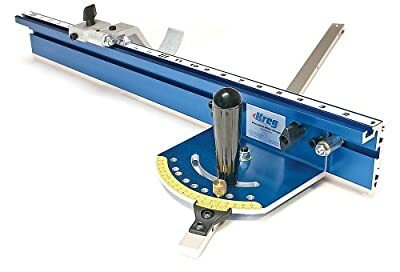 You probably know them for their ingenious pocket hole system, but this miter gauge is worthy of fame in its own right. Setup takes a little bit of time and patience, but the results are well worth it. 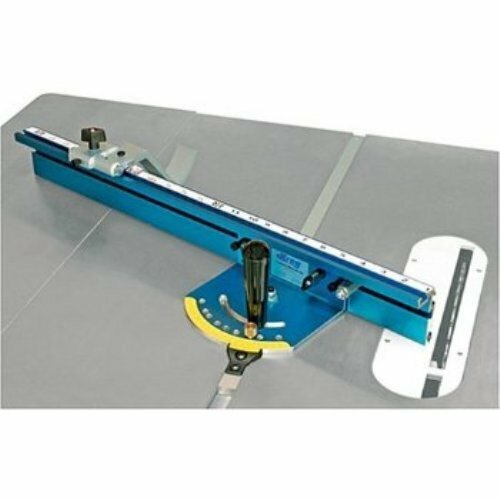 It’s got a super accurate length scale with a magnifying lens cursor, similar to those on good table saws, and the curved flip stop can be used with the fence as is, or you and a pair of pliers can modify it easily for permanent use with a sacrificial fence. This clever curved design lets you slide your stock right under it. The slot bar has five patented nylon screws along its length that let you custom fit it to your table saw slot, completely eliminating any play. It’s got the positive stops you expect, at 0, 22.5, 30 and 45 degrees, and they’re marked by preset holes that accept a tapered brass pin, which locks in the angle with absolute precision. The gauge is marked with diamonds every five degrees for great legibility, too. But what sets this gauge apart from the pack is its Vernier scale, allowing you to set any angle in tenth-of-a-degree increments. Unless you have a degree in mathematics, don’t try to understand the process – it’s confusing and non-intuitive. Instead, just follow the step-by-step directions, and you’ll get absolute accuracy every time. And when Kreg calls something a "micro-adjustment" mechanism, they really mean micro. 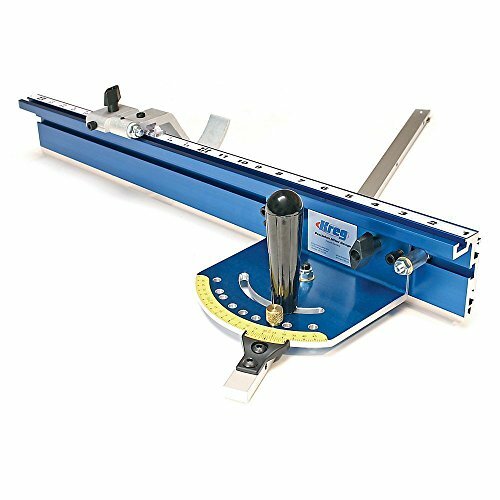 With this miter gauge, you can actually increase your angle by 1/100th of a degree by turning a nylon screw that increases the space between the fence and the gauge. For each .001 inch you put between the fence and gauge, you increase your angle by 1/100th of a degree.